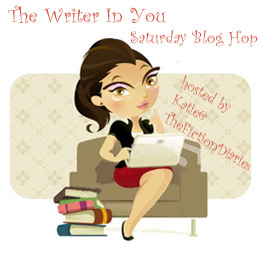 The Writer In You is a blog hop hosted by Katie at The Fiction Diaries. In her own words, “this is a blog hop for all aspiring writers out there. It is a chance to meet other writers and share tips, writing, and experiences, all while gaining new followers for your loverly blog…” Every Saturday, Katie asks a question that we have to answer. This week’s question is: When and where do you do most of your writing? I have a very busy life and I tend to write when and where I can. Which is, mostly in the evening and at the weekend. In an ideal world, I would get up early in the morning to write, take a break in the afternoon, then go back to writing in the evening. I like writing at my desk by the window in my living room with music on. What about you? Join the fun here and happy writing! This entry was posted in About writing and tagged About writing, EM Castellan, on writing, Saturday blog hop, The Writer In You, writing. Don’t you hate when life gets in the way of everything? Although to be honest I have a hard time working up motivation even when I do have the time. Happy to have you joining us!